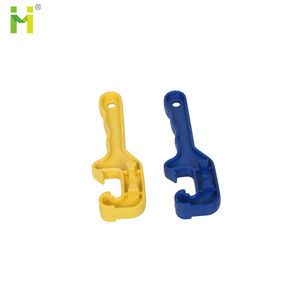 Commodity Plastic handle spray paint can be printed logo bottle opener Item number SBO13148 Size 12x4cm Weight 40g Material stainless steel 420# Place Shenzhen Packaging 1pc/pp, 300pcs/carton Carton size 7x23x25cm **If you have special requirement, please write email to us for double check the cost. Priority Markets Eastern Europe,North America,Southeast Asia,Mid East etc. Exhibition Canton Fair,China International Ice Cream Industry Exhibition SHOW TIME!!! 287 Xue Fu Road Harbin China Tel. W: 15/14 kgs delivery:15-25 days Product Pictures More products Production Process Quality Control Packaging & Shipping We are 16 years old factory built by 1998 with 10000 square meter workshop & 300 workers , and being back-supporting factory of trading company by past ,now it is our time to open to all oversea customers, so certainly we are the final correct supplier you are looking for,low price & good quality is a must for us . 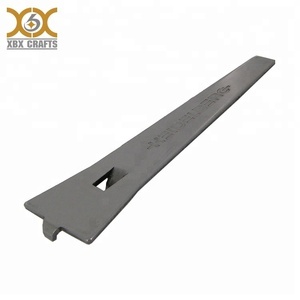 We are major on different steel kitchen tool and steel multi tool products: --steel kitchen tool: kitchen knife set/cheese knife/ceramic knife/paring knife /fruit knife/bottle opener/peeler /garlic press/ food clamp/ cookie cutter/egg whisk/measure cup/muddler/ bakeware/cutlery and so on --steel multi tool:pocket knife/ hunting knife/plier/hammer/spanner/tool keyring and so on We warmly welcome domestic and overseas customers send inquiry to us ,we have 24hours working team ! Anytime anywhere we are still here to be your partner. 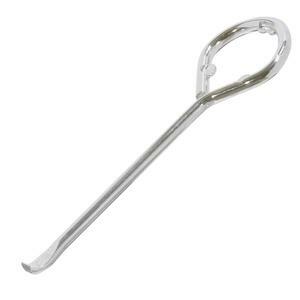 Slips neatly in the cutlery drawer when not in use-this rubber jar opener will not take up too much space, jar opener silicone lining is easy to clean. PRACTICAL DESIGN : Expertly designed to be handled by the most pained hands&#65292;it doesn&rsquo;t slide off. At the same time pleasant rubber surface provides a steady position even if your hands are damp. Yangjiang Nan Yuan Industry And Trade Co., Ltd.
4) Bottle opener makes a perfect gift for a man's Man. E) We have QC before packing. F) More than 6 lines for production to make sure the prompt leadtime. 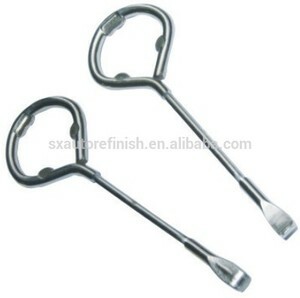 Alibaba.com offers 631 paint can opener products. About 50% of these are openers, 7% are packaging boxes. A wide variety of paint can opener options are available to you, such as carbon steel, stainless steel, and iron. You can also choose from eco-friendly, stocked. As well as from can openers, bottle openers. And whether paint can opener is free samples, or paid samples. There are 552 paint can opener suppliers, mainly located in Asia. The top supplying countries are China (Mainland), Japan, and Taiwan, which supply 99%, 1%, and 1% of paint can opener respectively. Paint can opener products are most popular in North America, Western Europe, and Eastern Europe. You can ensure product safety by selecting from certified suppliers, including 169 with ISO9001, 84 with FSC, and 22 with Other certification.